The world of finance has a complicated structure and many investment opportunities, ranging from funds, trades, keeping money in the bank with a stable but low-interest rate, online crowdfunding platforms for properties and loans are some of the choices. One of the investment possibilities would be hedge funds. Historically hedge funds have been accepting only big investments. This has been keeping away those who can’t invest such big amount immediately. We are talking about $100k, $200k and more. These investors are called Limited Partners (LP). Most of the hedge funds are established as a partnership between the fund manager and investors, LP. Usually, fund managers have a big amount of their own investment, their personal capital invested in the fund. Investors share all income, expenses, gains, and losses. Key players would be Investment Manager, Prime Broker, and Auditors. Auditors are required by the local law. Few of Prime Brokers are Credit Suisse, Morgan Stanley, Barclays Capital, and more. 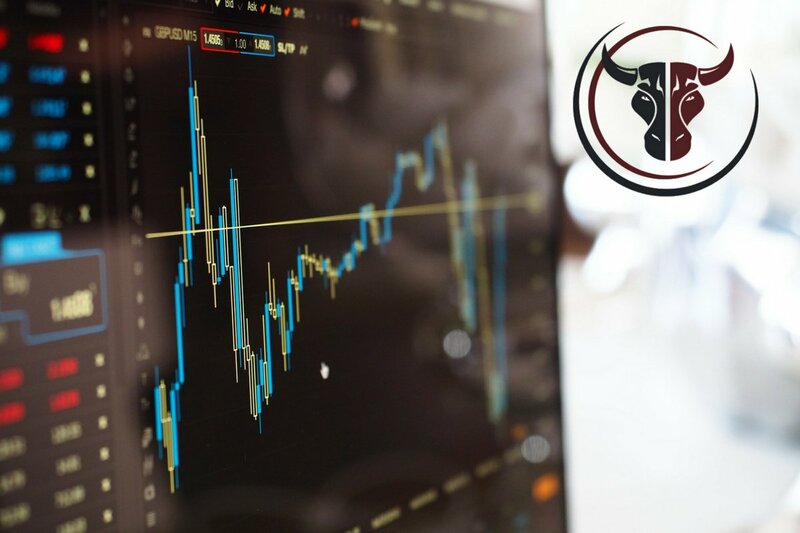 In U.S. hedge funds are regulated by the SEC (Securities and Exchange Commission) and CFTC (Commodity Futures Trading Commission) and therefore companies go through scrutinized proceeders. The fee structure of Hedge Fund is different from other funds. The hedge fund would have a management fee and also a performance fee. The first one might be around 2% (usually a percentage of the assets managed), but second – 10-20% of fund profits. This all leads to a conclusion that hedge funds are only for wealthy ones or large organizations with significant investment capital available. But when it comes to the blockchain, mostly we can see few earning options. One is earning rewards for running Masternodes or staking coins. Another option is getting new project’s tokens and later selling them for the higher value on exchanges. These are the basic options but of course, there are more. Like, some companies are rewarding with their coins for referrals, some give tokens as Airdrops and Bounties for registering, promoting and translations for a project. After the project goes to exchange – your token gets a new value and becomes coin with a possibility to trade. I am sure that we can find more options to earn with blockchain companies. But let me focus on discovering something completely new and unique. Is it possible to combine hedge fund structure with blockchain and is it worth it? Let’s look into the blockchain structure when it comes to the financial world. In 2014 Stellar was created by Jed McCaleb who is the founder of Ripple. What is it? – Like the Internet, Stellar is a network of decentralized servers in many locations that power a distributed ledger or simply saying – records every transaction in this system. Interesting that a complete copy of the global ledger exists on each Stellar server. Another step within a chain of activities in the Stellar network is synchronization of the ledger. Every 2-5 sec has verified some transaction. This process is called consensus. Blockchain 1.0 is Bitcoin and its various forks. The next step in the evolution, Blockchain 2.0, began with the introduction of Ethereum. The advent of Blockchain 3.0, via the Stellar protocol, solved all of the previous issues and added new functionality. The Stellar Network is the fastest blockchain network currently available, allowing over 1000 TPS per second. Why I talk so much about Stellar? Simply because this platform is widely used in payments systems like Stripe, IBM, Deloitte, and Tempo to name a few. The aim is to integrate Stellar algorithm and to move money or information quickly, reliably, and at almost no cost. Practically it means integrating Stellar that would mean configuring your systems to talk to the Stellar network. Therefore when we are talking about combining traditional financial services with blockchain we turn towards Stellar protocol. The Apis Token is a novelty – the first tokenized hedge fund strategy that is focused on an algorithmic, signal based volatile trading strategy. The team has a proven track record – with over 15 years of securities trading experience. The Apis Token is built on Stellar, making it secure, efficient and fast. The token is Apis (APIS), managed by Apis Capital Management (ACM). Apis token is Cayman Ltd so it’s regulated by Cayman law and Cayman Island Money Authority jurisdiction. Apis Capital Management is registered with the Cayman Stock Exchange. This allows it to be identified and traded on major trading platforms such as Bloomberg. The ACM Fund (in which Apis Token invests in) is a US Limited Partnership and it is regulated by US law and the SEC. Look into this fund’s previous performance in a table below. What is so unique about this project? It has all hedge fund features as it is hedge fund and at the same time, it is tokenized! Tokenization allows the project to accept investors worldwide with a much smaller amount and it aligns with the team’s vision of quality investment opportunities for all. Here are some rules that remind me of the first chapter of this article about traditional hedge funds. The minimum investment in Apis is currently $250,000. Smaller investments may be considered on a case by case basis only. – Management Fee: 2% p.a. But if we remind ourselves that this is a blockchain company with tokens, then the situation changes. There are NO fees for Apis Token investors and that’s the benefit of the token. Finally, doors have opened for smaller investors to benefit from the hedge fund. More to say that Apis is using advanced protocols and algorithms for analyzing investment choices in order to achieve better results. It is important to note that fund is not working with investment in cryptocurrencies and it is not impacted by fluctuations and the fall of the value of cryptocurrencies. Tokens represent an indirect fractional ownership interest in the Fund. Fractional ownership of the Fund will be represented by the supply of Tokens registered on the Stellar blockchain. Representing the Fund with token allows Token holders to freely trade their Tokens because Tokens are immediately resellable to non-U.S. persons. Profits of the Fund will be paid out monthly to the capital account of the Issuer (Investment Balance), thereby increasing the redemption value of each Token. The Fund’s assets are scheduled to be available for redemption in 12-month intervals from the first issuance of an Apis Token. At the redemption dates, Tokenholders who have submitted redemption requests can exchange their Tokens for their proportional value of the Fund’s assets, in either $USD or other cryptocurrencies. After each Token is redeemed, it will be taken out of circulation. Redemptions may be subject to restrictions such as minimum and maximum amounts that may be redeemed at a given time. The fund has been working for more than 2 years and generated returns already. Also, the company has been audited several times as required by law. Apis Token Investments Balance is currently US$1,472,737.55 but current Apis Tokens in Supply is 2,125,000 APIS. The project is so well developed that it raised US$1.7million in investments during its public presale that was until the end of June that was after the private sale. There are monthly results on the total of the Fund assets owned by Tokenholders available on Apis website. One can find Apis coins on Stellarport and Interstellar exchanges already but StellarEx will follow.